Most online marketers focus a lot on generating traffic to their websites, which is then converted into leads. Once they start to get results from this process, they seek to drive even more traffic, hoping for even more success. While this may be an oversimplification, it is the standard online marketing handbook. Very few marketers focus on generating more revenue from existing traffic, otherwise known as optimizing conversion rate. In this post, we’re going to look at how you can use this process to get the most out of your existing traffic to your blog. Conversion rate optimization is the process of improving the conversions in marketing, advertising, sales, or any other business practice that involves getting people to take some sort of action. Your conversion rate is the percentage of visitors to your site who take the action you’re trying to get them to take. So, for instance, if your business has a 20 percent conversion rate, it means 20 percent of all the visitors to your site actually convert into leads or customers. It’s all about working smarter and not harder in your marketing activities so you can drive more results from the traffic you already have. It’s possible to optimize your conversion rates simply by modifying certain elements of a web page, thereby increasing the chances of site visitors converting into leads or customers before they leave. You can design pages all over your site to convert visitors into customers, including the homepage, ‘About Us’ page, pricing page, blog, and various other landing pages. Each of them can be optimized to get higher conversions, and that process of optimization is precisely what CRO entails. Micro Conversions – These have to do with prospective customers that have somehow engaged with your business or brand. They may have opted into your newsletter, followed you on social media, or watched one of your ‘how-to’ videos. Macro Conversions – These, on the other hand, are huge. That’s when a visitor converts on one of the primary offers on your sites. This could be a product purchase, subscription to a service, or filling out a lead capture form. Both types of conversions matter. Micro-conversions can lead to macro conversions further down the line as the prospect becomes enmeshed in your brand. It’s not just about the numbers: that is, more sales = more revenue = more profits for your business. Say you have a business that sells a product for $200. If you have 100,000 visitors to your site, and 4,000 of them buy your product, that means you have a conversion rate of 4% (3000/100,000*100). Looking at those numbers, you’d make revenue of $800,000 from those customers. However, if you got 10,000 people to convert, your conversion rate rockets to 10% and you’d make about $2,000,000! That’s a huge difference, right? A homepage is a prime candidate for CRO. It not only makes the first impression on site visitors but also presents an opportunity to retain them and guide those people further into your site. This can be done in a variety of ways such as emphasizing links to additional product information, displaying a button for free sign-up, incorporating a chatbot to solicit questions from visitors who land on your site. This page can either make or break your site, as far as CRO goes. Modifying certain elements such as the pricing intervals (for instance, price per month vs. price per year) will help improve your conversions on that page. You can also describe the product features that are associated with each price. Another change that can help boost the conversion rate on your pricing page is to include a phone number for potential customers to call for a quote. A blog is a big conversion opportunity for any website. You get to publish valuable, helpful content about important topics in your industry. This makes a blog ideal for converting readers into leads. You can add calls to action (CTA) inside articles inviting your readers to give you their email addresses in exchange for a valuable ebook, industry report, or any other means of helping them learn more about the topic. Landing pages are essentially designed for visitors to take some sort of action. For instance, you can optimize an event landing page by adding a video of the previous event to encourage more registrations for the current event. You can optimize a landing page offering a free resource by using a preview of the content from the resource and encouraging downloads from users. CRO is a massive, often untapped opportunity that marketers have. By fine-tuning your site for conversions, you can deliver a very big impact. Once you’re constantly attracting visitors to your site, it’s time to think about conversion rate optimization to turn those visitors to leads. Most businesses typically get a finite demand for their products or services. This means that it’s imperative for you to get as much as you can from the website traffic you currently have. The bottom line is, if any of your business goals have to do with growth, then you need to focus on conversion rate optimization sooner rather than later. Your conversion rate is the number of conversions generated on the web page divided by the number of visitors to the page. You can calculate the conversion rate of blog posts, ad clicks, websites, and various landing pages. After determining your customer demand threshold, you can nail down the process of getting more from your existing web traffic. But, setting conversion goals is sometimes complicated. It’s not as easy as saying, ‘This page converted 100 people last month, and so we’re aiming for 200 this month’. If you want to improve the conversion potential of your business, you have to take a closer look at the definition of the term ‘conversion rate optimization’. Instead of just deciding on an arbitrary 100 more conversions per month, you want to aim for 100 more conversions per X number of people who land on your web page. That is your conversion rate – the percentage of visitors who convert on your site based on the number of people who landed on it. It’s always a great idea to include calls to action in your posts, but sometimes these fail to lure people into taking the desired action. These days, people are very blind to banners. They also ignore all banner-like information they see on websites. Couple this lack of attention with the fact that site visitors mostly ‘snack’ on content and don’t usually read all the way to the bottom of a post, then it becomes clear that a new approach is needed. That’s where text-based CTAs come in. You can link a line of text to a landing page for better conversions. Something else to consider is adding lead flows to your blog. These are popups that are designed to attract your visitors’ attention and offer them value. These are extremely high-converting and provide a higher click-through rate than regular CTAs placed at the bottom of blog posts. You can choose various designs ranging from slide-in boxes and drop-down banners to pop-up boxes and other types of lead flows. All this depends on your specific offer. Adding lead flows on your posts can dramatically boost your website conversions. Landing pages are important for your website. They are where your site visitors become leads, or where existing leads engage with your brand even more deeply. You need to run A/B tests on your landing pages to make them as effective as possible so you get the most out of them. The variants that you can split test to eke out better conversions include website copy, images, content offers, form questions, page design, and so on. There are going to be times when your prospects want to get down to business right away. They may want to seal the deal immediately instead of being nurtured by your marketing offers. It’s a good idea to make this process as easy for them as possible so they can take action and become qualified leads immediately. You can do this through a combination of smart CTAs and thoughtful design. Clear, compelling copy on your site will allow you to drive specific actions and improve your business’s conversions. Depending on your overall sales process, you may find that one action generates better conversions than another after testing them. For instance, maybe your free trial conversions are much better than your whitepaper downloads, in which case you can then optimize your page for that process. The secret here is to find ways of removing friction from your sales process. There is a myriad of tools that allow you to chat with your site visitors in real time. You can boost your conversions by adding messaging capabilities to all your high-performing pages like product pages, pricing, etc. to get leads to convert instead of leaving. You’re also able to base the chat on certain actions. For example, if someone spends more than a minute on the page, you could automatically offer to help or answer whatever questions they have. If you have been running a blog for a year or so, then it’s likely that you’ve noticed that some posts outperform others. Your blog posts present a big opportunity to optimize your conversion rate. To begin with, you need to find the blog posts that have high levels of traffic but aren’t converting well. The reason for the low conversion rates could be that the content in the post and the offer you’re promoting aren’t aligned. Or maybe your CTA is not very clear. You also need to determine which of your posts have high conversion rates so you can drive more qualified traffic to those blog posts. One way of doing that is to optimize the content for Google and various other search engines or update it to ensure that it remains fresh and relevant. No matter what your key conversion metric happens to be, most people on your site aren’t going to take the action that you want them to take. But leveraging retargeting or remarketing will help you re-engage people after they leave your site. Retargeting allows you to track people who have left your website and serve them online ads on other sites that they browse on the web. It works particularly well when you retarget visitors to high-converting webpages. Of course, the normal rules of inbound marketing apply. That is, you still need to have well-written copy, engaging images, and an attractive offer in order for this to work. 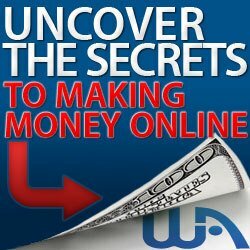 CRO offers the fastest and most effective means of turning your website traffic into actual paying customers. There are various tools and strategies that you can use for your conversion rate optimization efforts, but all of them are geared toward pretty much the same thing: turning visitors to leads and leads to customers. If you’re generating a steady flow of visitors to your blog, start right now to implement the strategies above so you can boost your revenue and grow your business.